You are cordially invited to join the Ram Truck team at The Stave Room at Atlanta Spirit Works for a product overview of the Ram Commercial lineup. 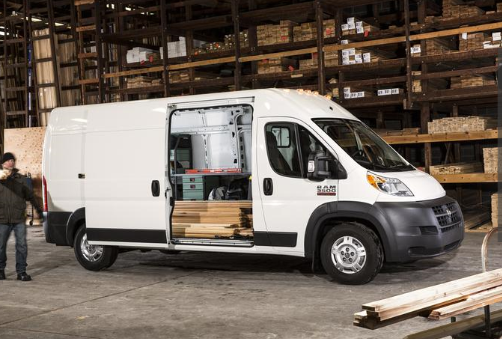 They are often overlooked by the average consumer, but commercial vehicles play a critical role in the growth of new industries, small businesses, construction and delivery companies. Atlanta enjoys some of the highest growth rates for startup companies, including construction, technology and service industries. In fact, Atlanta is third in the commercial van market in the US CYTD (behind only NYC and LA). Our Southeast business center is seeing the highest growth of commercial business in the whole country. Ram Commercial is poised for significant growth too as a result of commercial-vehicle-dependent enterprises such as those in Atlanta. Come see Ram’s Commercial lineup and learn what the brand is doing to grow this year through 2020. Please plan to join us for some Fox Bros. barbeque, an informative presentation and a tour of the American Distillery Works if you’d like to stay following the luncheon.